Welcome to the 2019 US Poker Open! It's time for the second annual US Poker Open here at the Aria Resort and Casino in Las Vegas. Action is set to kick off at 2 P.M. local time for the first event of this 10 event series. The first event of the series is Event #1: $10,000 No-Limit Hold'em. Players will begin with 125,000 chips and will have a chance to re-enter at least twice through the first nine levels of play. Levels for this event will be 30 minutes long and players will play down to the final table here on Day 1 of this two-day event. The final table will take place tomorrow and be live streamed on PokerGO. Being a ten-event series, players will accumulate points for their finish in the event. The player who accumulates the most points over the course of the series will receive the title of US Poker Open Champion and will receive a prize of $100,000. Unlike in 2018 where the U.S. 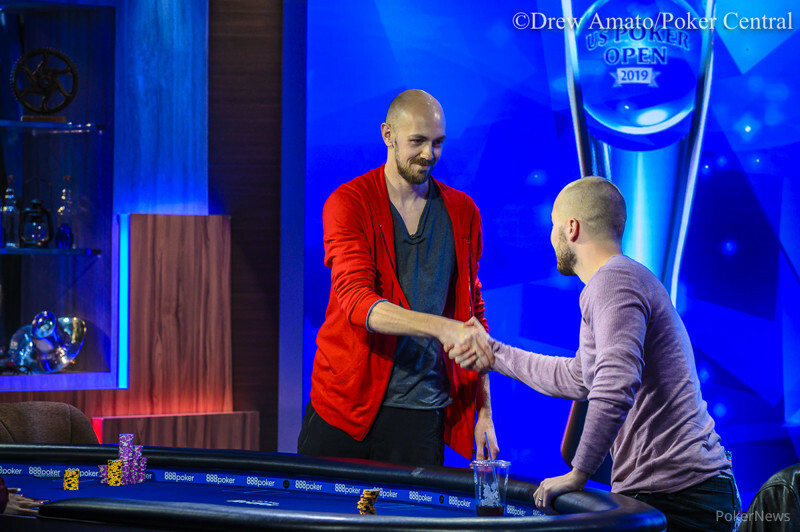 Poker Open Champion was crowned based on which player accumulated the most earnings throughout the series, the 2019 Champion will be decided using the High Roller of the Year points system. The player that accumulates the most High Roller of the Year points during the series will be crowned the U.S. Poker Open Champion and be awarded a $100,000 first-place prize. 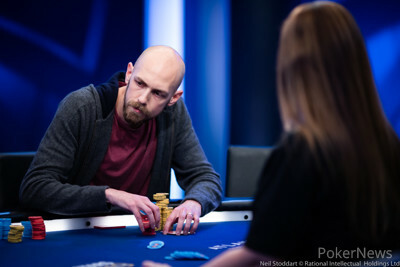 Last year's champion was Stephen Chidwick who amassed the most earnings over the course of the 2018 series. The US Poker Open is a part of the trio of high roller events offered here at the Aria Resort and Casino with the other two being the Super High Roller Bowl and the Poker Masters. This event will last ten days and will feature several other events such as a $10,000 Short Deck Hold'em, $25,000 No-Limit Hold'em, $25,000 Pot-Limit Omaha, and $25,000 Eight-Game Mix. Last year saw winners such as Justin Bonomo, Mike Gorodinsky, Stephen Chidwick, Ben Tollerene, Benjamin Pollak, David Peters, and Keith Tilston all takedown events at the US Poker Open in 2018. Action will be starting up soon and players will begin with blinds of 500/1,000 with a big blind ante of 1,000. PokerNews will be here throughout the day and for the entire series, so be sure to keep following along for the entire week as we bring coverage from this event. Who Will Take Down the USPO Event #1: $10,000 NLH Title? Live stream at at 2:00 p.m. PT / 5:00 p.m. ET.